Ever since my early teens, I have been an overweight guy. I have always been working hard to attain the so-called ‘perfect health’. From following a strict diet to working out like an athlete, I have done almost everything for gaining fitness. And on some of those occasions, I have been able to extract a few favorable outcomes. I have never been a big ‘fast food’ fan but it always feels as if whatever little traces of it I have, it multiplies before going into my system. I have read thousands of blogs and watched hundreds of videos on fat loss over the years. And I have put myself under the scanner multiple times, experimenting with the diet, life schedules, exercises, and workouts. And from what I have learned through all these things is that weight loss is not as complicated as it may appear sometimes. The simple math of weight loss states that you gotta use up more calories than what you consume on daily basis. You can use a number of different approaches to achieve this. You can diet, fast, put the extra hours in the gym, or have a balance among all these things to get the desired results. I have never been a big fan of dieting or fasting. I have always believed that one must allow themselves to explore the things on offer. But if you want to stay in a good shape or lose weight, you gotta put a few limitations on those taste buds of yours. Rather than going on a strict diet plan, going for a diet plan which makes sure that you are always eating healthy stuff is gonna be the silver bullet for health and fitness for your entire life. You can cut corners, fast for a few days, work out like animals and get a few results but when it comes to the ability of sustaining those results over a period of time, and better yet, improving them consistently, one needs to understand that healthy diet and regular or semi-regular exercises has to be a part of your lifestyle for a healthy existence . What is more important to understand is that you can never outrun a bad diet by the extra workout. A healthy diet with a provision of regular workouts in your schedule is what is needed for the workout part to actually do wonders. A healthy diet over the conventional ‘dieting’ makes sure that you never feel as if you are under some sort of a restraining order. Your quest for fitness, for losing weight may take time. 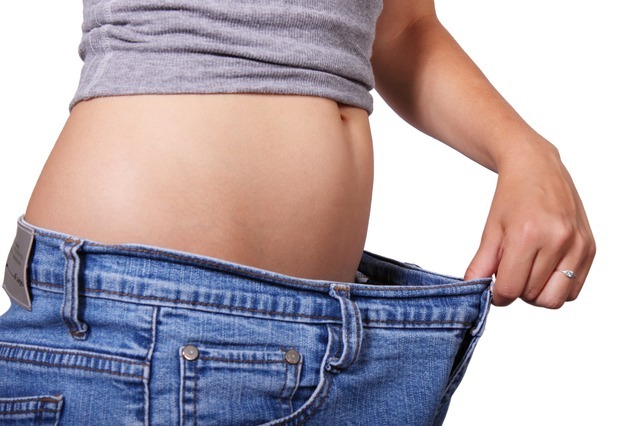 Some people lose weight much faster than the others. While some can gain a number of pounds in a matter of days. Other than Diet and Exercise, it boils down to one’s lifestyle and their body type. The vital thing amidst all this is ‘consistency’. Following a routine in a disciplined way is the most important factor when it comes to weight loss. It’s like ‘the hare and the tortoise’ story; you gotta keep moving forward, no matter how slow you move. ⟵My story on Should Prostitution be Criminalised?